Working from Memory is a collection of stories by the renowned photographer, painter and sculptor William Christenberry. Based on conversations with author and critic Susanne Lange, these stories elaborate the artist's memories of the Deep South, in whose rich literary tradition they are steeped. In a lyrical but lucid prose, they set personal experience against the backdrop of important political and cultural moments in the southern states, endowing that landscape with a vividness that will be familiar to fans of the artist's photography. 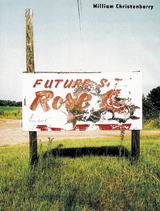 Christenberry's own photographs accompany these tales. Born in Tuscaloosa, Alabama in 1936, William Christenberry grew up in the Deep South, where old road signs, deteriorating buildings and dirt roads shaped his boyhood memories. During his early career, Christenberry was primarily a painter, but he soon began to incorporate the use of a Brownie camera into his practice. In 1961 he moved to New York and met Walker Evans, the celebrated photographer of the Farm Security Administration, who had documented the devastating effect of the Great Depression in the South. Evans' photographs--many from Christenberry's home area--particularly influenced Christenberry's work as an artist. In 1968 he moved to Washington, D.C., and joined the faculty of the Corcoran School of Art and Design, where he continues to work as a professor of drawing and painting. Today, Christenberry's international stature continues to grow as his work is featured in many museums throughout the United States and abroad. Hardback, 9 x 10 in. / 108 pgs / 50 color. Published by Steidl & Partners. Jim Dine may be best known for his prints, paintings and sculptural works--and for being one of the founders of Pop art--but he has also been making photographs since 1996. Most of the photographs are set up in the studio. Often featuring multiple exposures, Gothic imagery and automatic-writing-like text, they tend to convey a tinge of Surrealism. 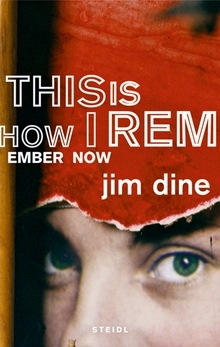 Dine has said about his practice, “I don’t use Photoshop with all the things you can do. I photograph and then I preview. I preview all day until I get it right, but I get it right by changing the objects.” For this volume, which will be eye-opening even to Dine’s most familiar fans, the artist has selected a group of self-portraits, portraits he has taken of friends and relatives--both alive and dead--and portraits of Pinochio, the fictional character he has been reimagining for the last several years. Hardback, 8.5 x 9.75 in. / 328 pgs / illustrated throughout.